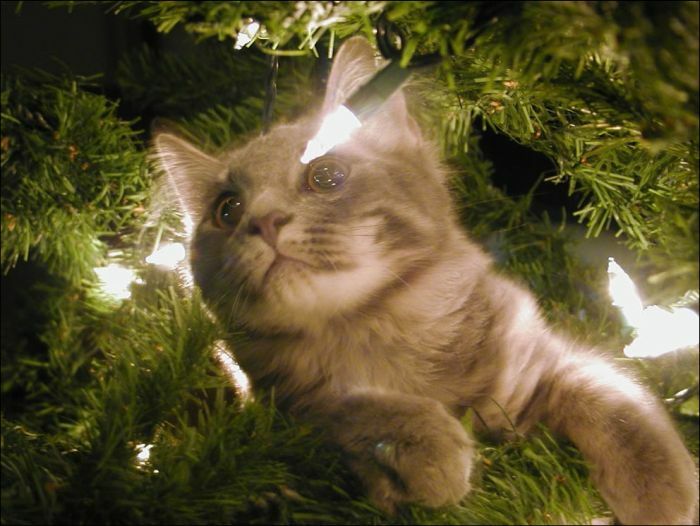 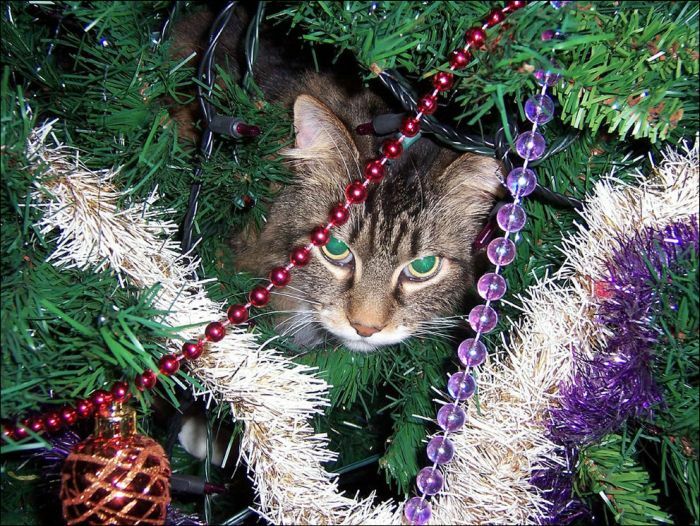 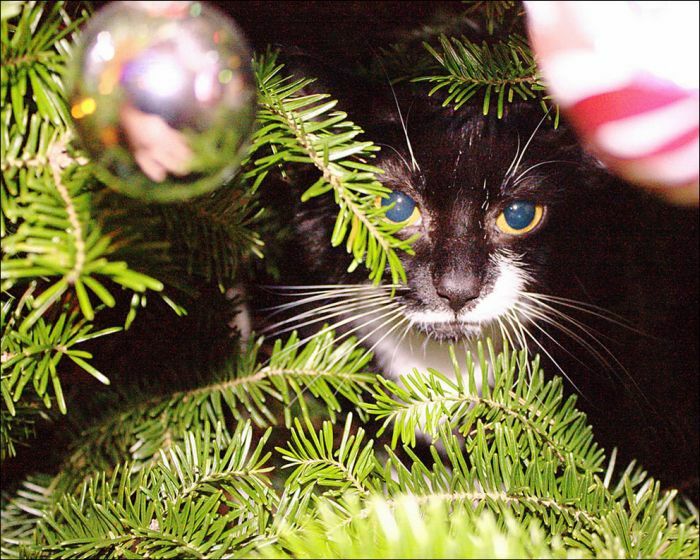 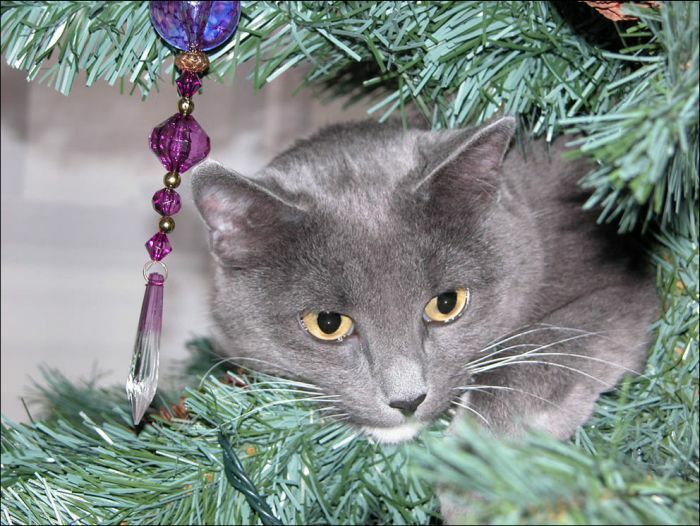 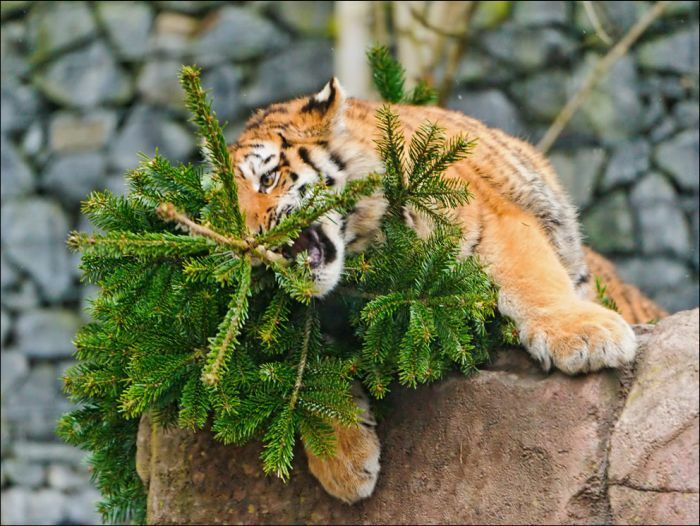 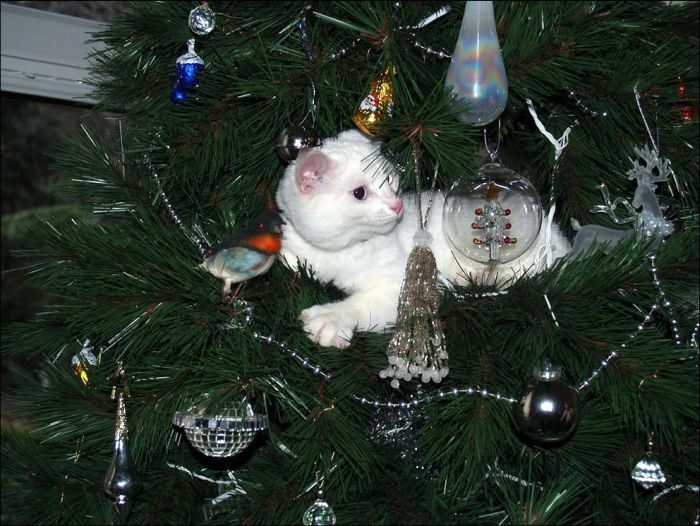 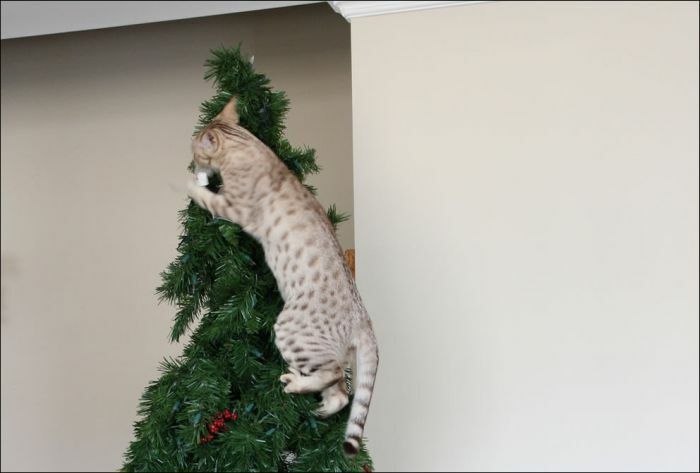 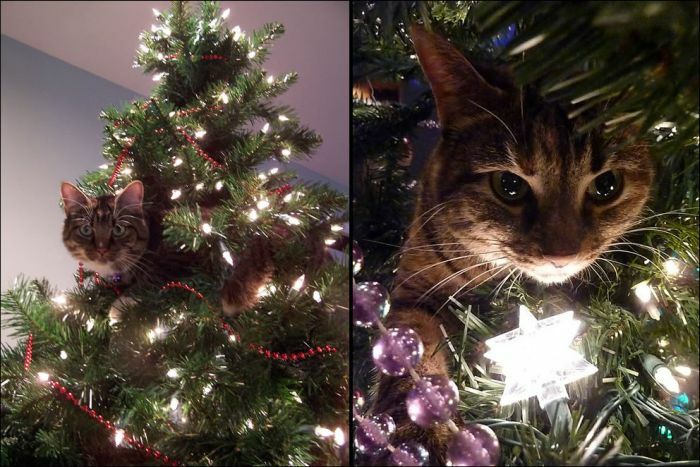 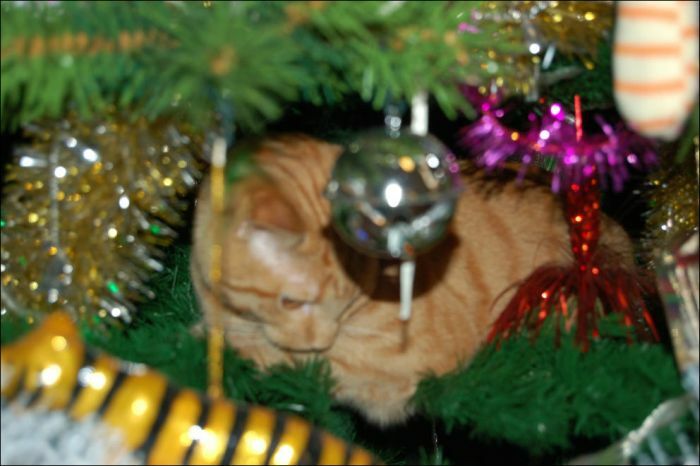 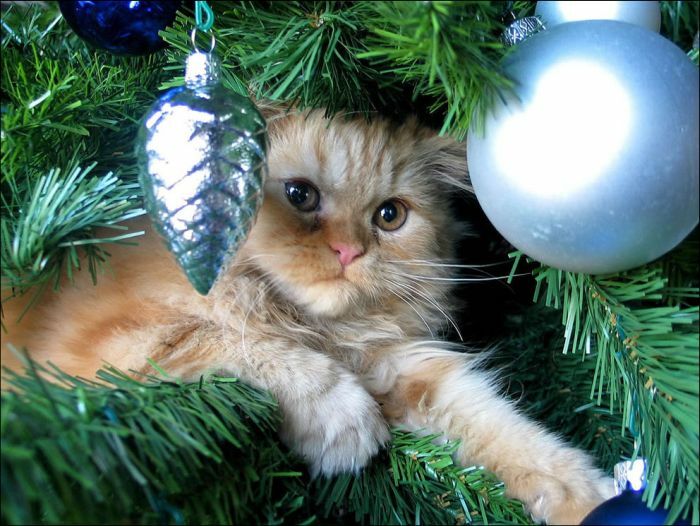 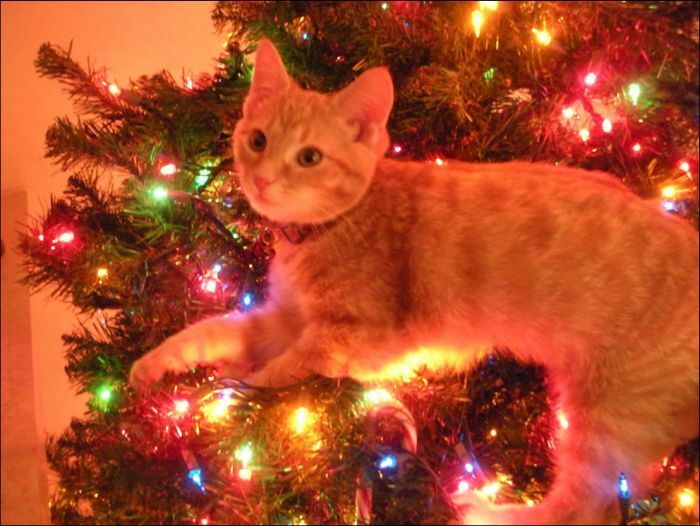 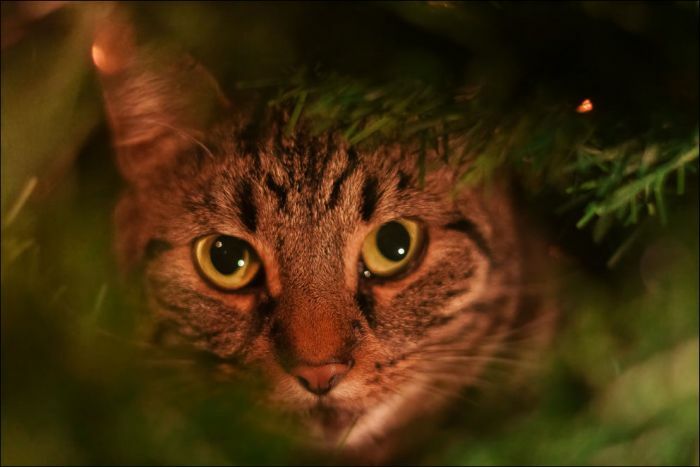 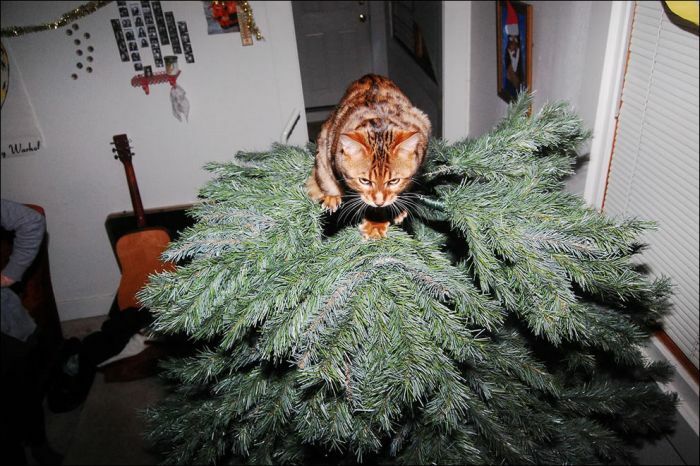 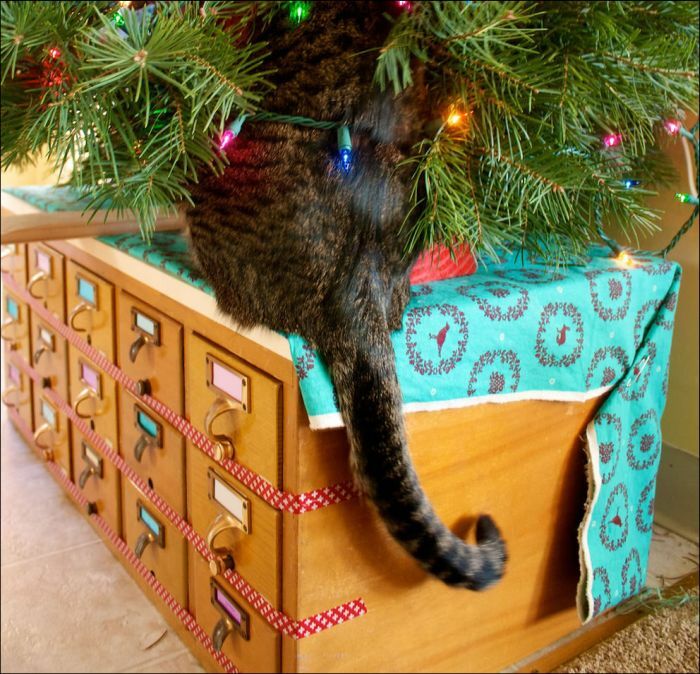 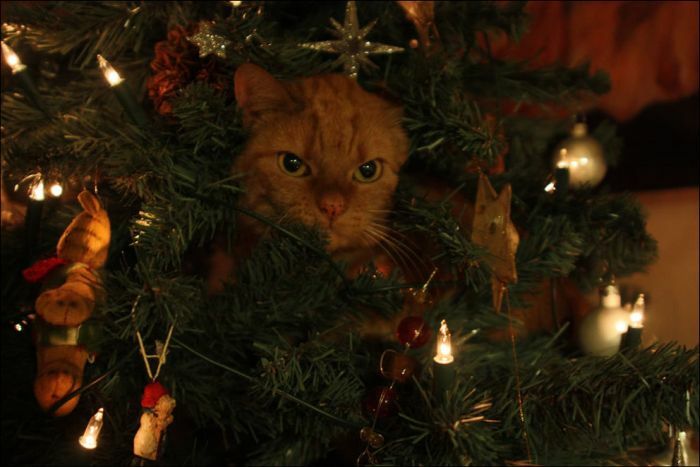 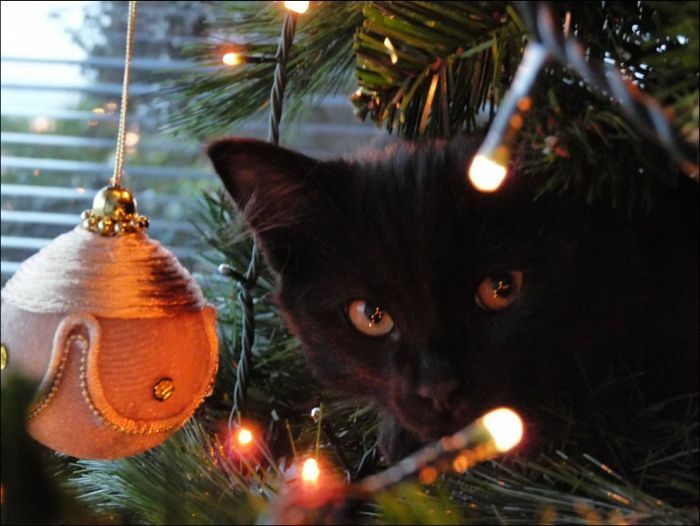 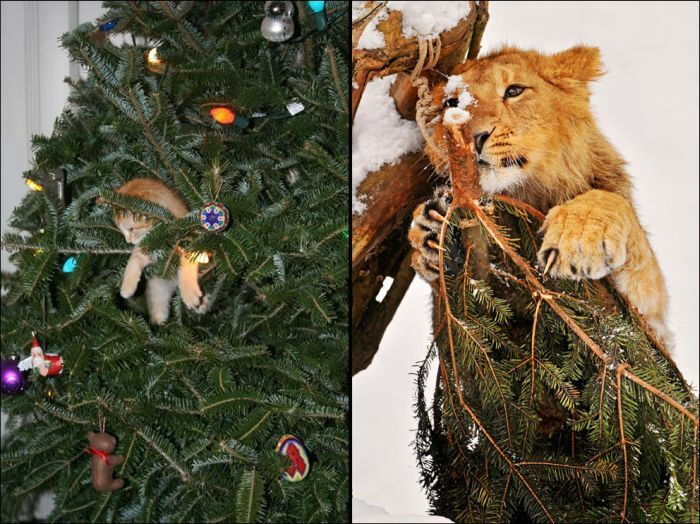 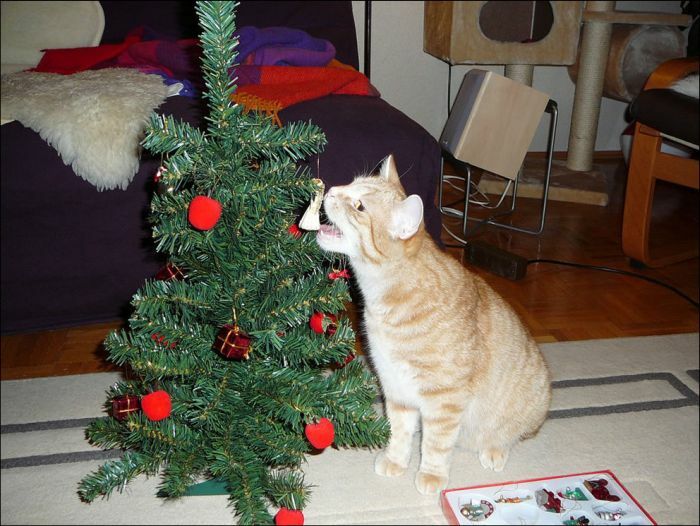 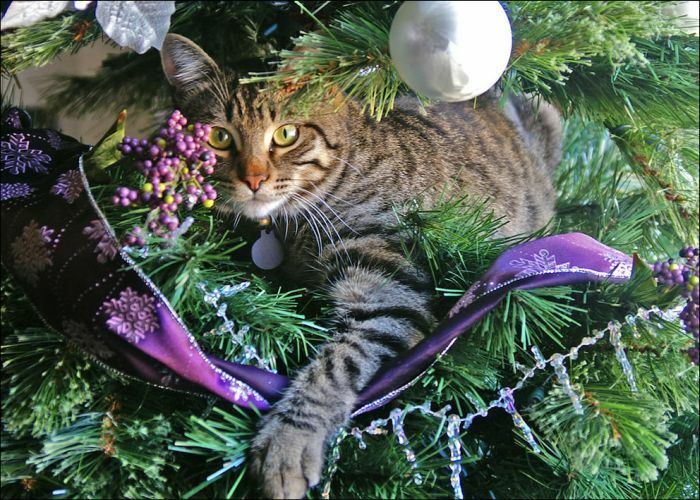 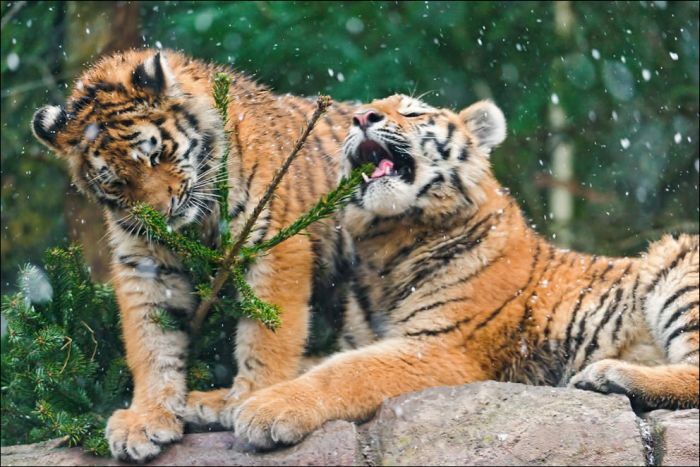 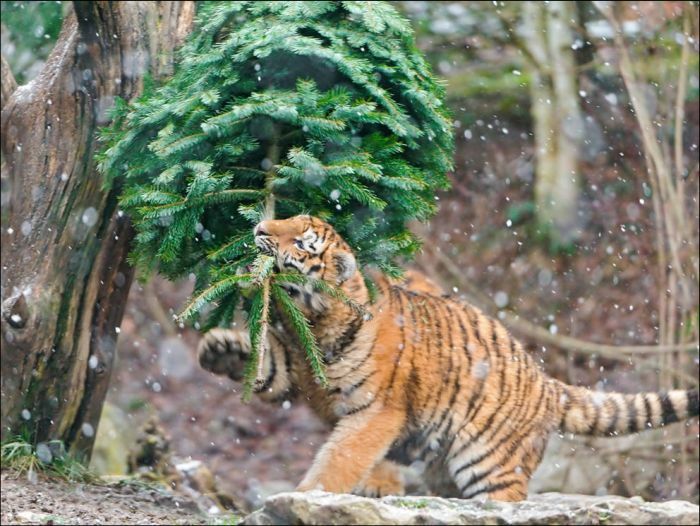 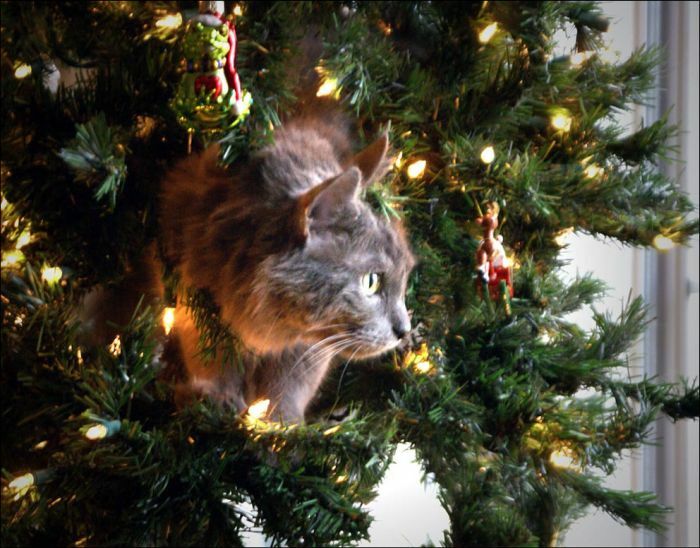 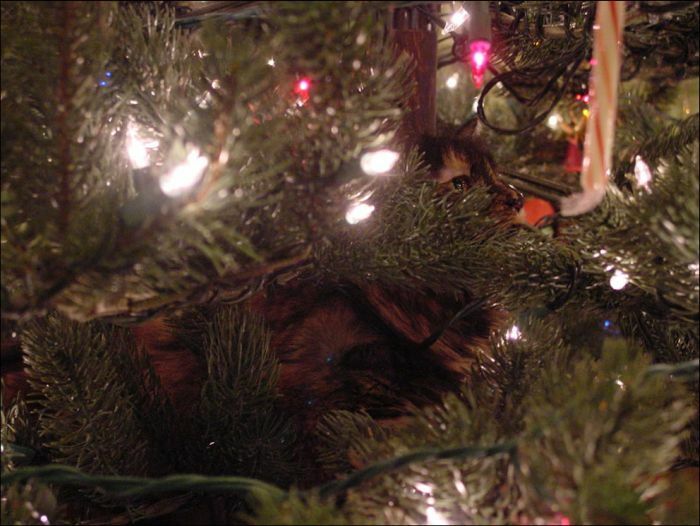 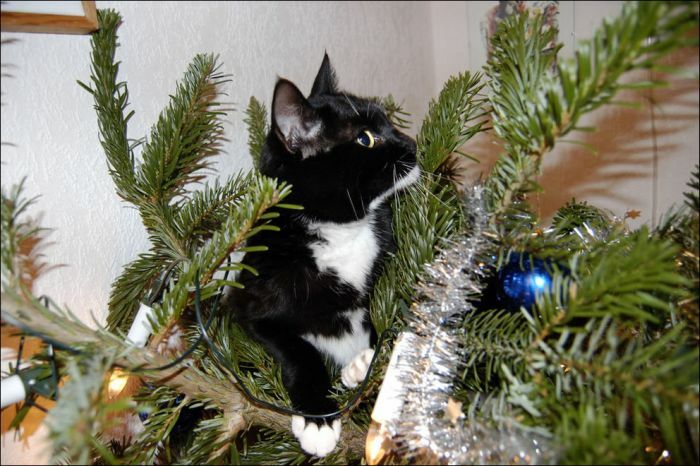 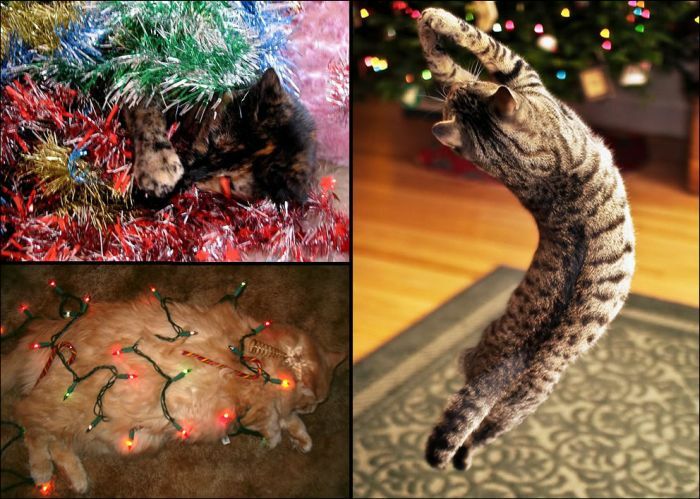 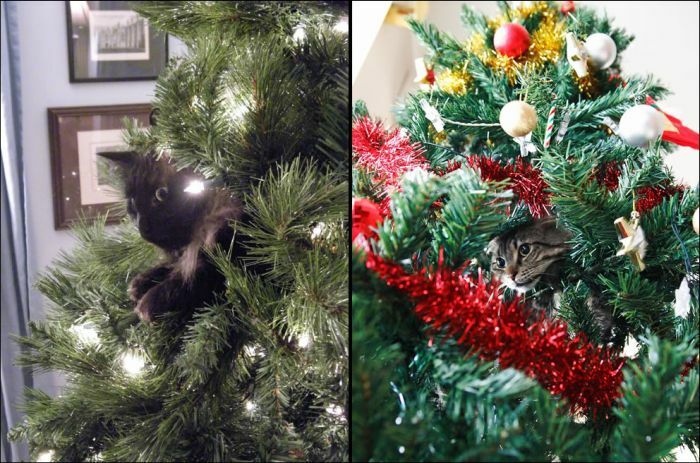 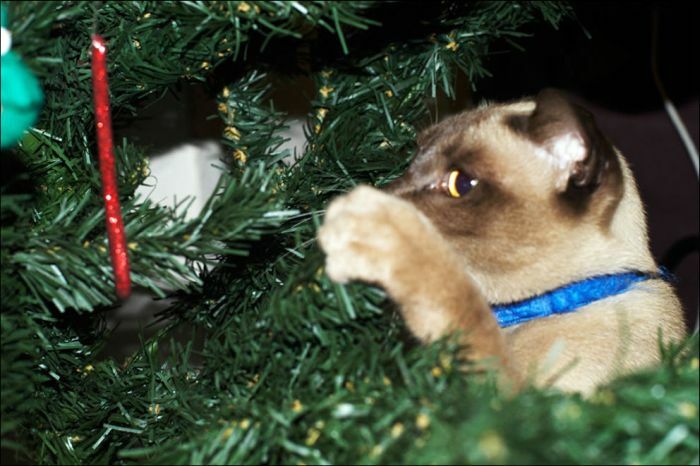 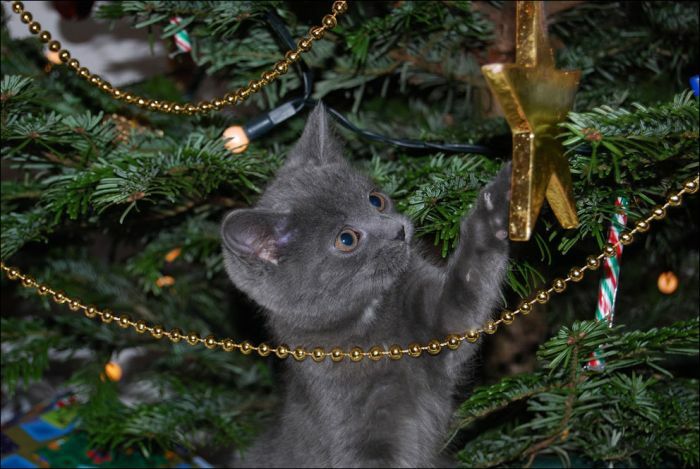 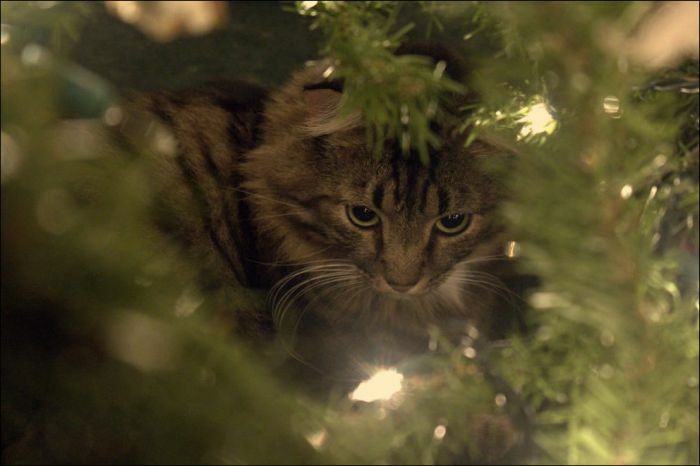 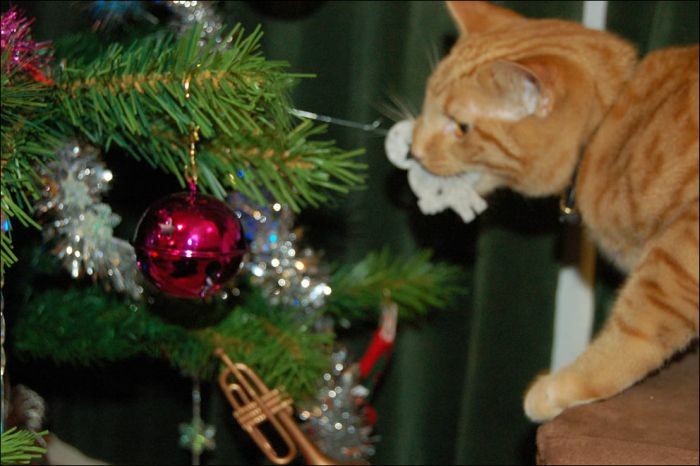 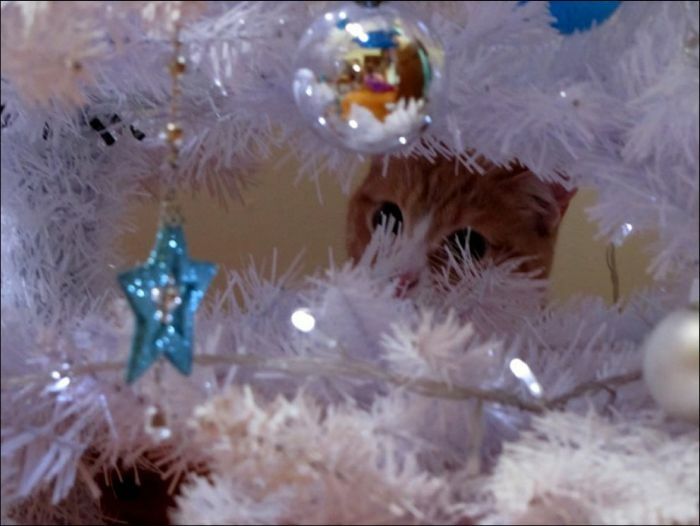 And here is how you can protect your Christmas tree from a cat. 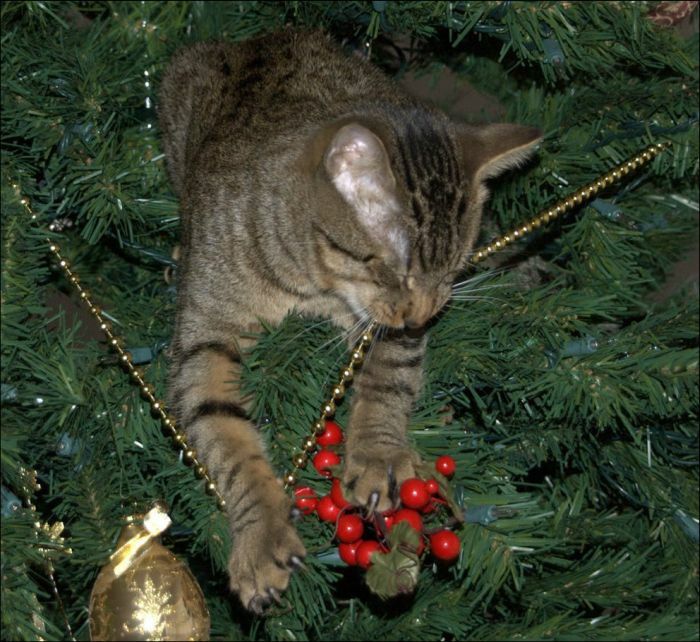 Sprinkle some red pepper around the base (on the tree skirt) and they'll stop screwing with your decorations. 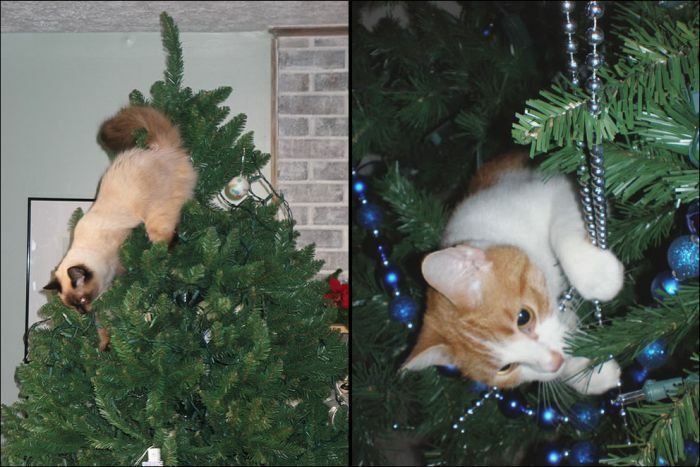 If that doesn't work, get a small squirt gun and squirt them when they start climbing. 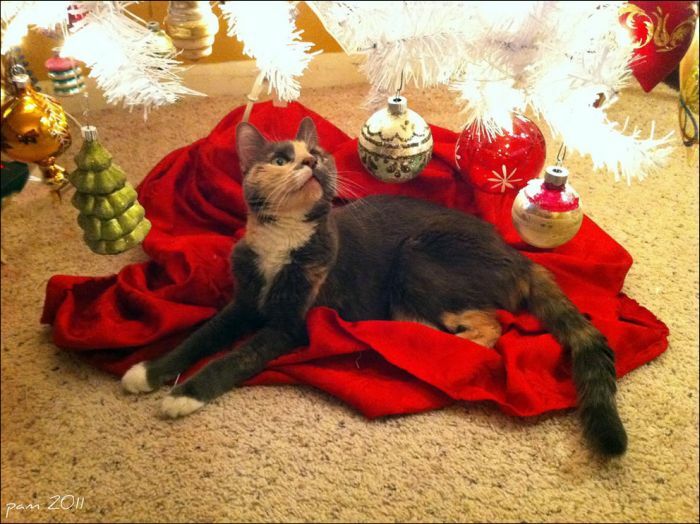 Best is to hang it upside down from the ceiling. 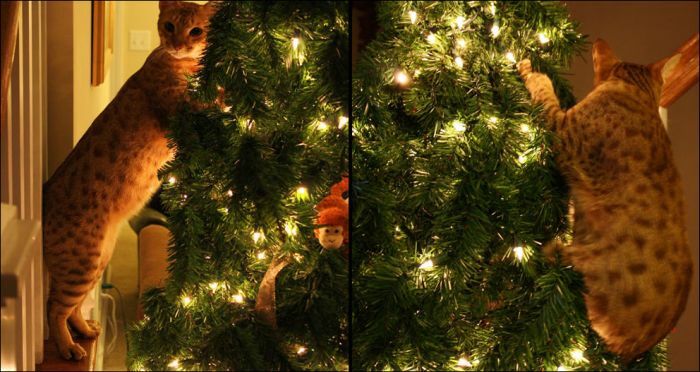 The tree, that is. 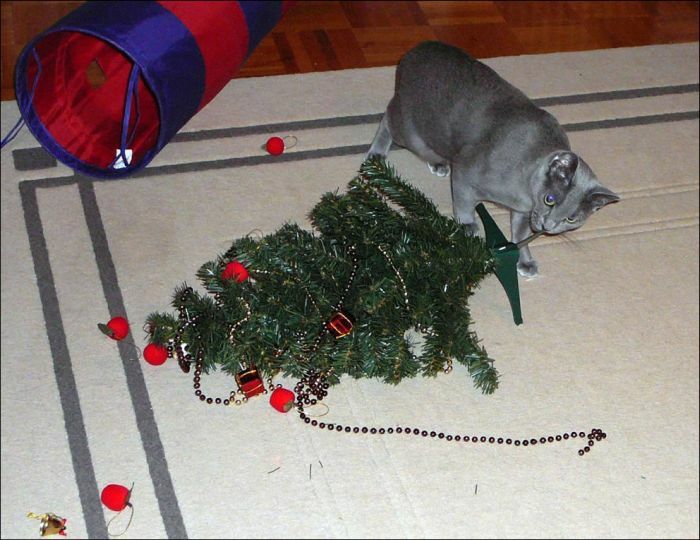 If that doesn't work, do the same with the cat.